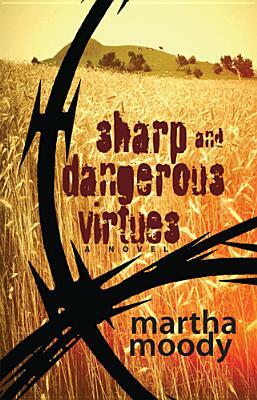 Sharp and Dangerous Virtues is the story of ordinary people caught in situations they had never planned for or even imagined. There are Chad and Sharis, a married couple with two sons, holding out for normal life in their decaying suburb; Tuuro, a black church custodian whose false confession of murder is used for political purposes; Lila, Dayton’s aging, lonely Commissioner of Water, who dreams of being part of the “pure” existence of the Grid residents; and Charles and Diana, idealistic lovers trying desperately to preserve the nature center that has become their refuge. What will these people do? What choices are left for them, and what choices have been taken away? Whom and what can they trust? Novelist Moody—known for her vivid portrayals of complicated characters and relationships in novels such as Best Friends and Sometimes Mine—weaves together cataclysmic events and the most intimate of human emotions to create a future that seems achingly real. Sharp and Dangerous Virtues will change the way you think and feel. Martha Moody is a lifelong resident of Ohio. A novelist and physician from Dayton, Moody’s three previous books of fiction have sold close to 1 million copies. She is the author of Best Friends (2001), The Office of Desire (2007), and Sometimes Mine (2009). Born in Canfield and raised in Mount Vernon and Mentor, Moody graduated from Mentor High School and Oberlin College. She received her MD and completed her residency at the University of Cincinnati College of Medicine. Married to Martin Jacobs, MD, since 1985, she was a private practice internist for fifteen years before retiring to spend more time writing and with her husband and four sons. Since 2000, she has volunteered as a doctor in a clinic for the working poor, as a writing teacher for schools and arts centers, and in the Dayton Jewish community, activities for which she has received several awards. For the past five summers she has led groups of volunteers to Israel to teach English at a two-week camp in Deir al-Assad, an Arab village in the Galilee.